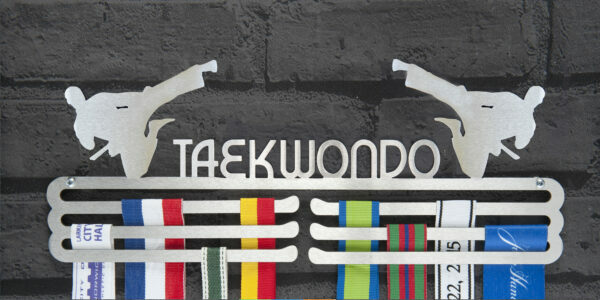 Developed by Korean martial artists Taekwondo is characterised by powerful kicks to disable opponents from a distance. 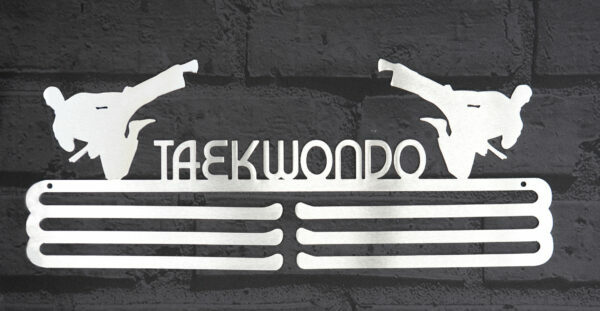 You have passed the greatest challenge of taking the first step across the threshold of the dojang door. 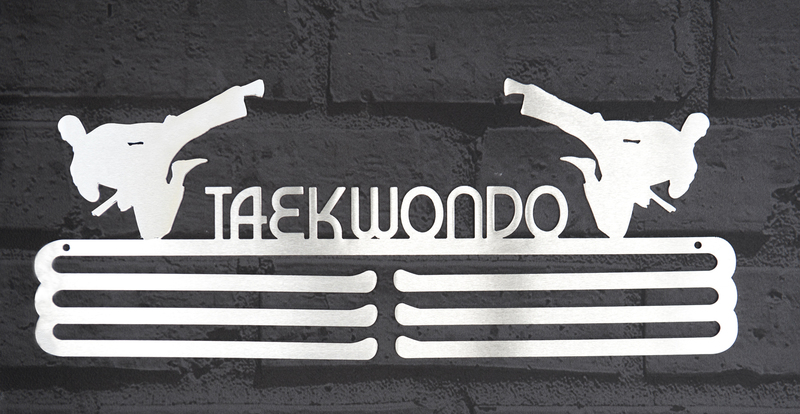 You are a Taekwondo contestant and your hours of training, hundreds of classes, years of sweat and countless bumps and bruises are a reminder of your dedication. 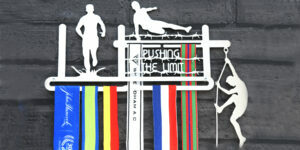 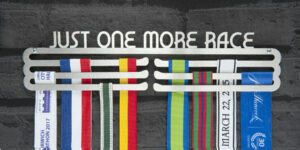 Display your medals with pride with our medal display hanger and tell the story of your Taekwondo journey. 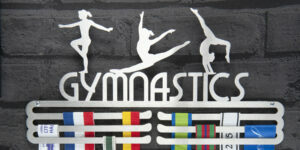 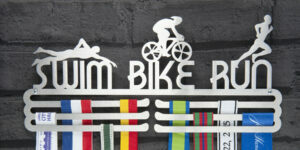 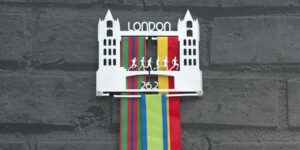 2mm laser cut Stainless Steel medal display hanger. 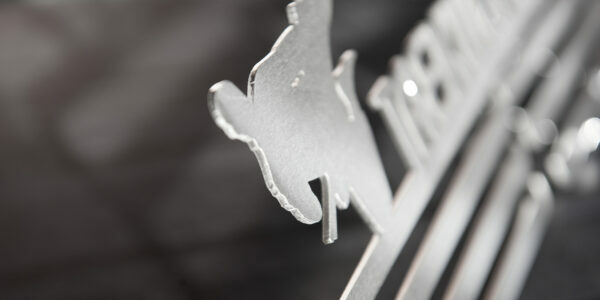 Supplied with installation instructions & all fixings (nylon wall spacers, wall plugs, & mounting screws). 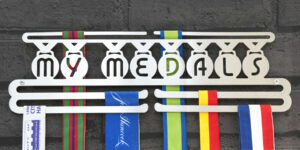 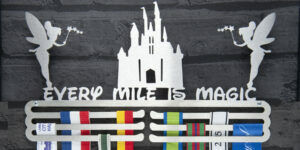 This medal display hanger is an ideal gift for all Taekwondo contestants.